We get a good pulse on health care’s trajectory with tools and resources like accurate analytics, claims data and population health management. Together, these elements help us create better benefits and effective programs for the employees of today, and of tomorrow as well. 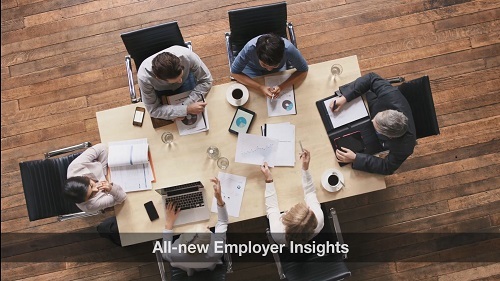 Employer Insights is our latest reporting solution in bringing value and transparency to your business by implementing a committed team of analysts and a reporting tool to offer the data you want—how, when and where you want it. PriorityWell amplifies wellbeing within your work culture. Our wellness program is available in three unique packages for those interested in taking wellbeing to new heights and further reducing the cost of care. Care managers offer support for a variety of conditions. Our care managers are licensed nurses and social workers who assist your employees in getting back to their healthiest. Mental health support is just as important as physical health. Whether your employees are looking for a referral to a specialist, advice on their situation or support related to substance use and mental health, our licensed social workers are available 24 hours a day, 7 days a week. Health coaching encourages your employees be their best. We employ health coaches who can help your employees manage weight, reduce stress, quit smoking, manage diabetes, eat healthier, engage in physical activity and manage blood pressure. Learn how employers use predictive analytics to help spot potential problems and keep employees engaged in their health.